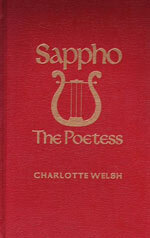 Charlotte Welsh was born in Oregon in 1914. 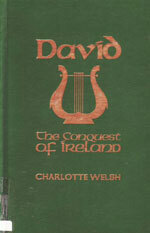 Her husband's career in the U.S. Army led Welsh across the United States, as well as to Europe and Asia. She and her husband retired on Bainbridge Island where she passed away in 2000. 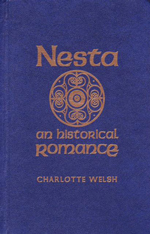 Welsh is the author of Nesta, An Historical Romance (1994); David, The Conquest of Ireland (1996); and Sappho, The Poetess (1996). All of her books, although fiction, are thoroughly researched. Welsh was also the founding editor of Reconnaissance Magazine in Fort Leavenworth, Kansas, worked as a volunteer at Helpline House here on Bainbridge, and was a member of Saint Barnabas' altar guild.